Confused??? And you want your bedroom to be the most soothing haven. There is no doubt that the bedroom is a resort where you want to be alone and hence, you need to give special care while choosing the colors for your haven walls. With a wide variety of colors to choose from, selecting the right one for your room can be confusing. Painting your room can be fun while you choose various colors from the great palette. This article is presenting many options in front of you. 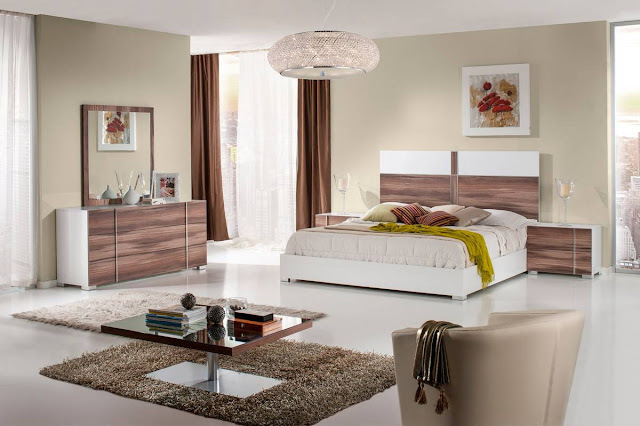 But pick up the right choice, because Bedrooms are always places of special importance to the individuals. All of you would like to paint the bedroom in colors that you love to see. Paint shades have a great impact on our temperaments and creating an impressive ambiance. In fact, light tones can help give a spacious sense to the bedroom and dark shades add to the cozy effect. As likes and choices differ, everyone’s response to special color is quite different. So while adorning the room, you have to consider personal likes and color predilection. When you’re on the point of choosing a color scheme, select that can create a spacious mood. As I previously mentioned, bright colors can create an energizing mood, they are the best ones to go for if you like your shades look lively. Red is my first suggestion, it is known by its vibrant nature, and can give an energetic feel to the bedroom. This can be an ideal choice for bedrooms of teenagers. The combination of colors is the second suggestion. 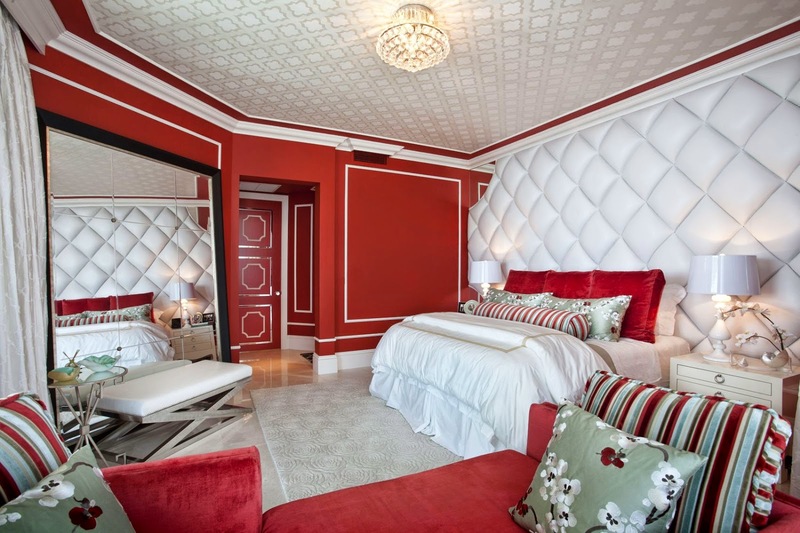 Red and white create a classic look, and is also one of the most lovable color combinations for bedrooms. To achieve and create a cool and soft mood, you must pick up the tones of green. Greens are lovable, bracing and calm. 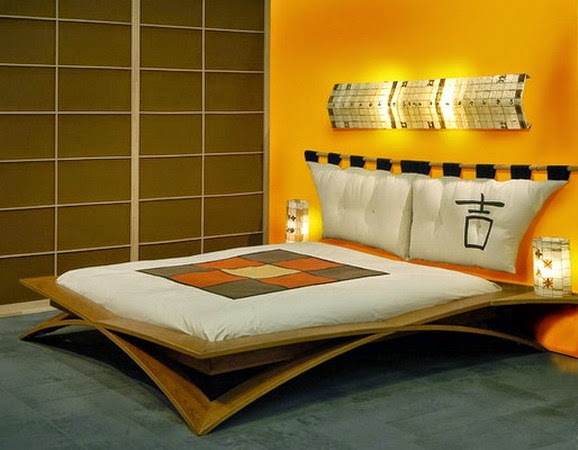 They create a cool ambiance and offer the best ones to have a soothing and relaxing bedroom. Sage is the perfect tone of greens used for cool interior painting. Also I suggest opting a combo of sage and ivory’ creamy-white colored’. To an aesthetic value to the room add some tones of olive which are very calming and ideal picks for youngster’s bedrooms. Bedrooms also can be painted in shades of tranquil olive green, peppermint, Leaflets trees…etc. This color is the most popular for girl’s bedrooms, purple is a color which is peaceful, and invigorates the creativity part of your brain. It is a brilliant color which inspires presents royalty, femininity… As a suggestion, the tones of purple and violet are perfect for young ladies. Purple is one of the most adorning shades that can convert a boring space into a glamorous and spacious space. To get a classic look , try the combination of purple and gray , they are impressive. This color symbolizes sunlight, joy, happiness, optimism and summer. Yellow is a pleasing color which can be used to paint bedrooms. It is a flashy shade. Don’t be confused while choosing the right tone of yellow, you can use it instantly grabs the attention. This color can keep up the mood and give your room cheerful ambiance and illusion of space. Use it in combination with warm shades such as orange can create spacious looking haven. Also try a combo of gray and yellow. Neutral colors are the right picks for those who are lost in a wide variety of colors. 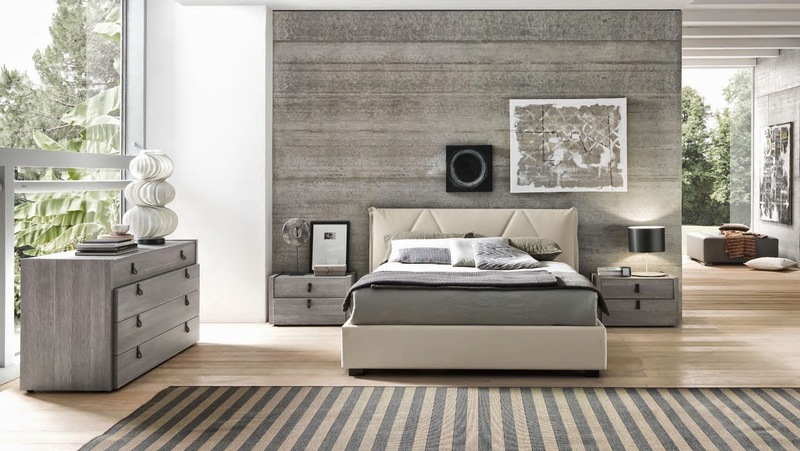 Gray and beige can have a neutral impact on the atmosphere of your bedroom. They aren’t bright, or flashy and hot, but they are fresh and classy. Just you must be selective and sure, you should pick the right contrasts and combinations. You can add some colorful furniture and accessories to enhance you painting walls. © 2019 All rights reserved The Ideal Bedroom.